Basketball stickers - Silhouette of a basketball player in action, dribbling around the court. 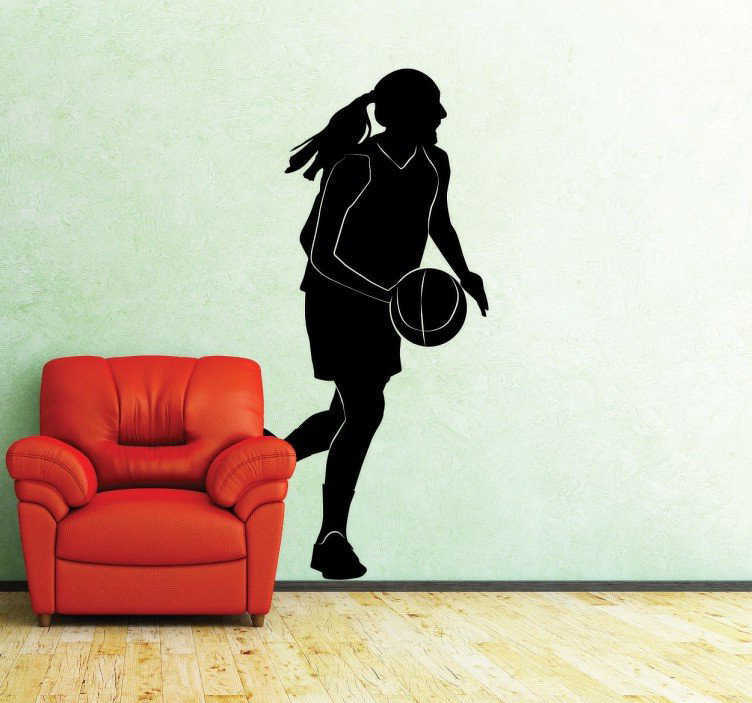 A sports wall decal perfect for basketball enthusiasts and those who can´t miss a game of the NBA. Easy to apply sticker to decorate your bedroom or PE sports hall. Choose the colour that best suits your wall. Our sports stickers are made from high quality, anti-bubble vinyl.